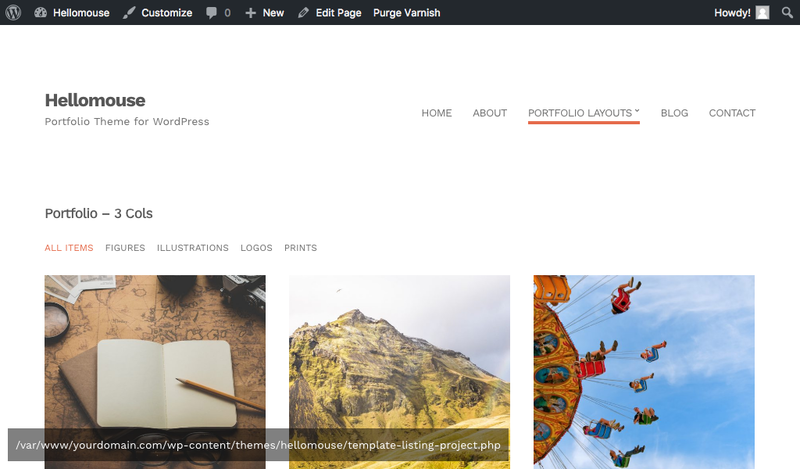 In WordPress theme development, or when editing an existing theme, it is often handy to know which template is used to display the current page. 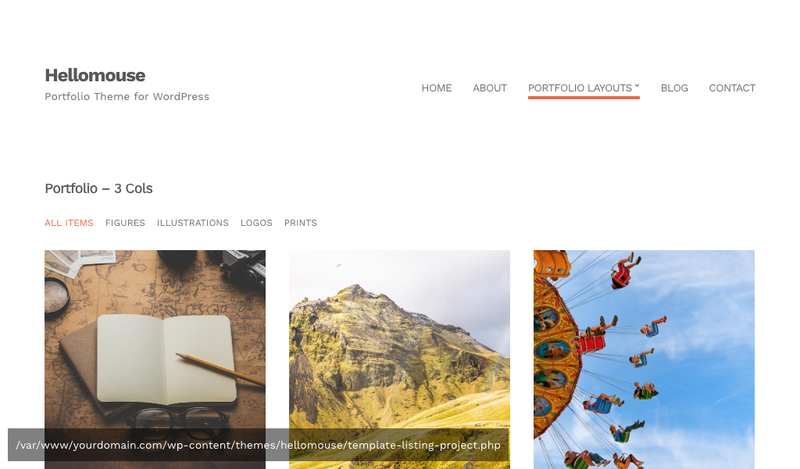 It is very easy to display the template within the page, by adding a small piece of code in your theme’s functions.php file. 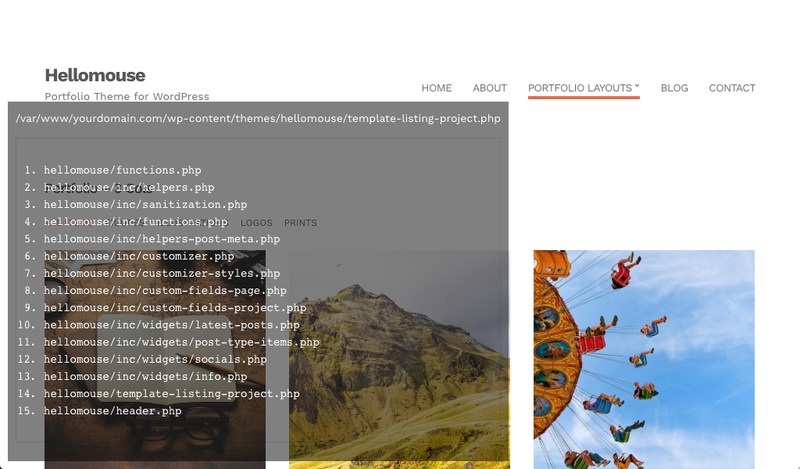 In this example, we will edit the functions.php file of a site using the Hellomouse theme. The current template is stored in the $template variable. Let’s create a function which loads and displays that variable. You may want to style this so it is legible and doesn’t break the document flow. Let’s include it in a properly styled fixed div. Much better. 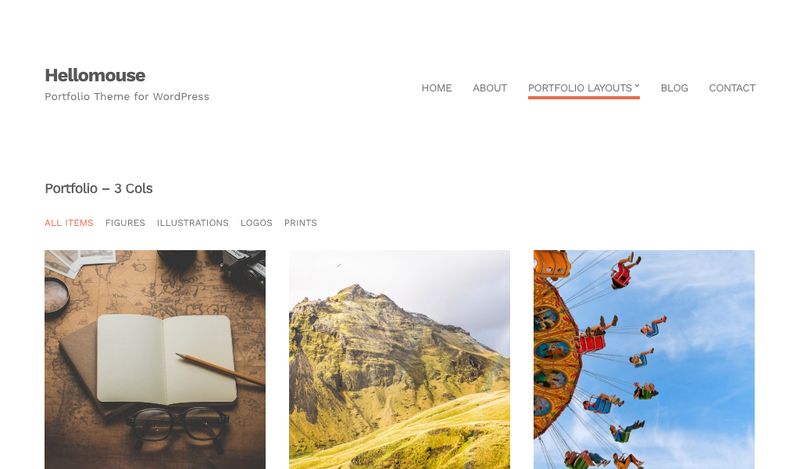 The problem is that everyone visiting the website will be able to see the current template path, so let’s limit its visibility. 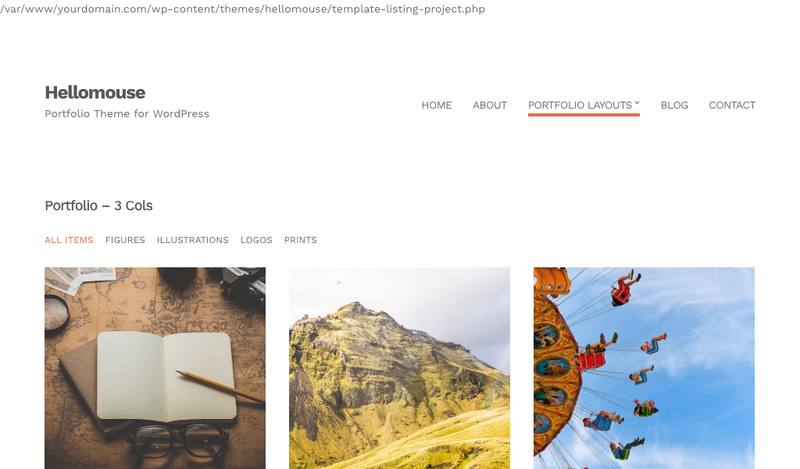 Often, it is the administrator of the site that will make changes to the theme template files, so let’s call the function conditionally.